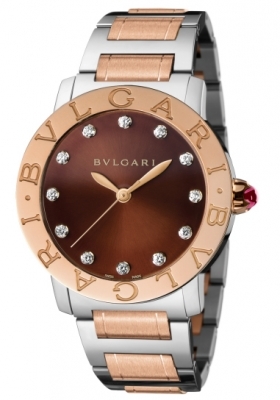 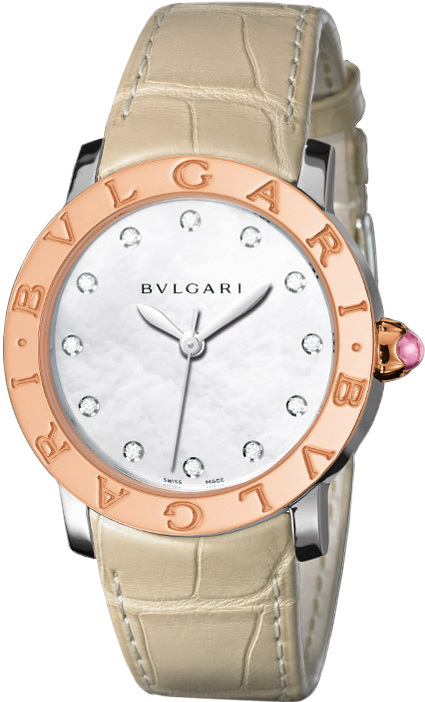 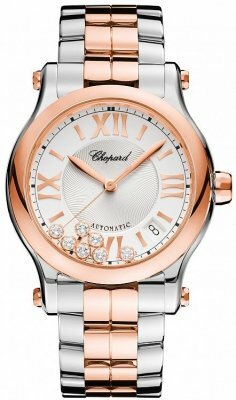 18kt rose gold bezel engraved with the iconic BVLGARI•BVLGARI logo. 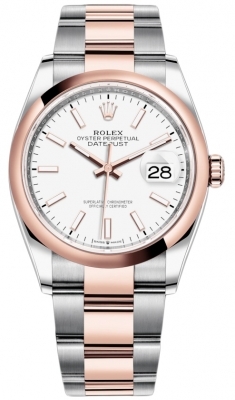 18kt Rose gold steel crown. 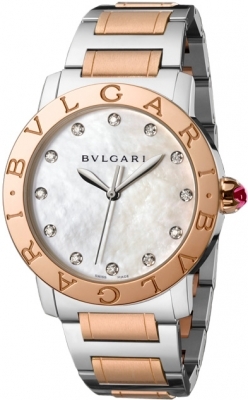 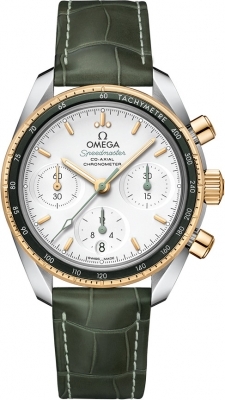 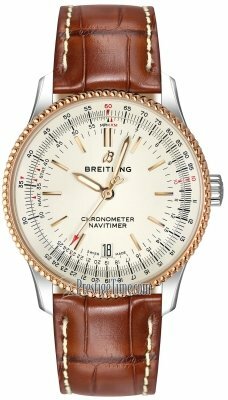 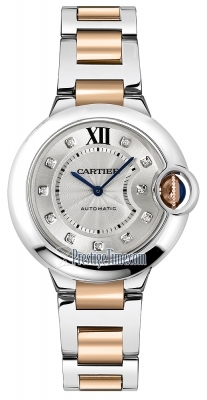 Natural mother-of-pearl dial set with 12 diamond hour markers.